Business models change over time. The most basic premises of business change with time. For example, aggressive marketing is a thing of the past today. With the advent and successive taking over of online retail, everything has changed! But what’s not changed is that customer is king. Business growth depends on how customers perceive you and on how likely your customers are to refer you and give you good ratings. It is evident that this is important when you read random reviews on Amazon listings. As a buyer, when you want to zero in on one product, the first thing you do is read up on ratings and reviews of previous buyers. 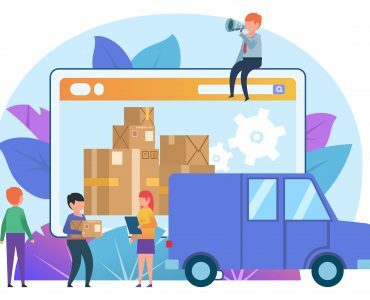 In the age of online retail, gauging customer service is all about their ease of shopping in your site, delivery speed and last mile customer experience. And, the customer experience, unfortunately, is in the hands of a 3PL vendor you choose to ship your product with. So, how do you ensure great customer satisfaction and customer experience when you depend on FedEx or UPS to make the delivery to your customer? This holiday season, we realise that parcel delivery is a very important part of customer satisfaction index. 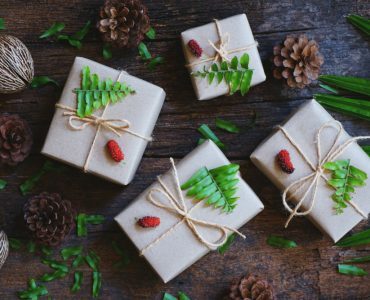 And with Target promising a standard 2 day delivery during the 2018 Thanksgiving-Christmas season, the 2 day delivery promise is all set to become the norm in e-retail. Those who fall behind here will just fall behind in sales. After all, if I can get the same product at the same cost in 2 days, would I choose something that reaches me in a longer time? Let’s look at the impact on ecommerce sellers now. When a customer receives intimation that the product will reach him in 2 days but it reaches him in 4 days or when the delivery is less than satisfactory in other ways, he is going to be very unhappy. In all likelihood, he might not come back to you for another purchase. To ensure the brand does not lose any customers due to delivery exceptions, you need to offer a memorable last mile delivery experience. When your package is dispatched, you need to have an eye on it until the customer receives it. It is impossible to do this manually when you sell a dozen plus items on an everyday basis. During the holiday rush, you are going to have huge volumes of business and successive shipments. You cannot spend your time seeing which parcel has reached which transit place. But, it is necessary. How do you manage this? With tracking technology available today, you have real time information on the whereabouts of your package when you ship via FedEx, UPS or any other reputed parcel service. So, the moment something goes wrong, you need to have an alert. When you have this information beforehand, you can have a plan to manage things. So, mere tracking would not be of much use. An automated system like LateShipment.com and LateShipment Pulse can help you in this regard. FedEx and UPS offer refunds when they deliver the package later than promised. 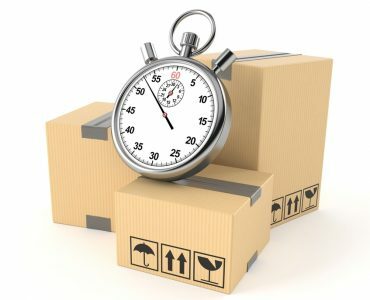 LateShipment.com can help you identify packages that are delivered late and automate claims processes for the refund. Pulse, on the other hand, is a proactive tool. It uses cutting edge Artificial Intelligence and Machine Learning algorithms to predict what can happen to your parcel. So, when your parcel traces a path that has known to be troublesome, Pulse raises an alert. And remember that Pulse tells you about the delay or loss of your package before FedEx and UPS realize their mistakes and inform you and your customer about it. What happens when you know your package is going to be late? When the situation calls for it, when the product is valuable, you can manage the situation without losing your reputation. When the customer is expecting a product within 2 days but Pulse tells you that the package is not going to reach him in that time, you can always cancel this shipment delivery and choose to send another unit of the same product through a faster delivery service to save your brand, your reputation and your customer’s situation as well. At the very least, you can inform the customer that the product is going to be delivered later. Pulse can estimate the time period for you. 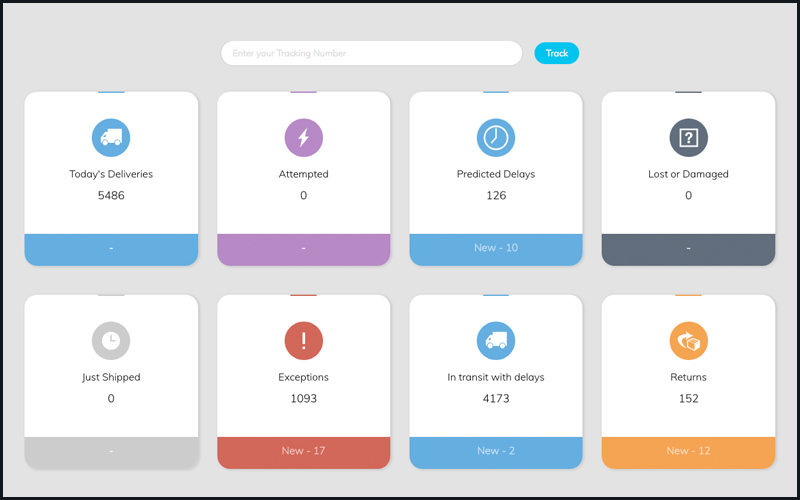 And with every single data point involved in the parcel delivery chain, Pulse learns and makes pattern match predictions based on probability. 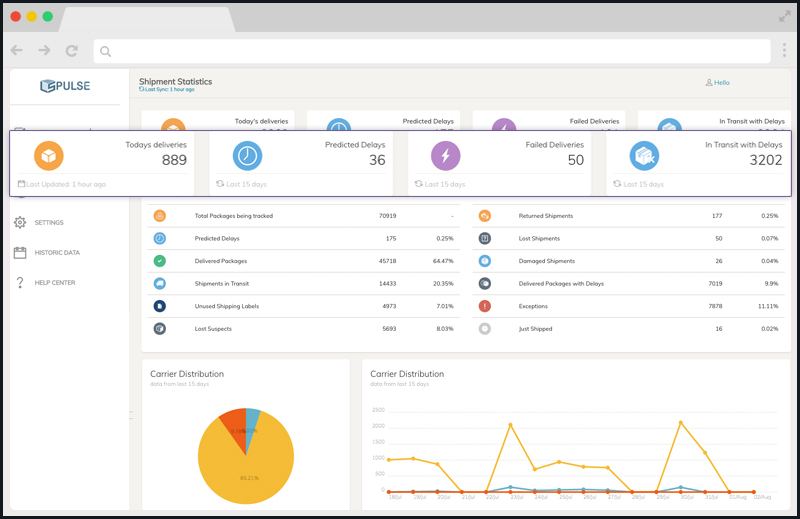 Check out the new Pulse dashboard designed specifically for support teams. Stick to reputed names but do consider multiple shipping carriers, both regional and local. For example, for the same shipment, you will find that you can filter based on shipping carrier, service type, route, delivery time, cost, pick up time, past efficiency and past performance. In fact, for shipments within 80 to 100 miles, local carriers are very efficient. And for international deliveries, you can look at carriers with a good track record in those countries. The same day delivery is the newest instant gratification index in the e-commerce town. Order and turn around, bingo, there’s your product. OK, that was an exaggeration but that’s the direction things are heading. If you want to reach new customers, try partnering with a same day delivery service. But, this is very niche and studies show that same day delivery attracts about 2% of online shoppers living in cities where this kind of service is available. It is expected to grow, though. As this is something within a certain radius from your warehouse/s, you can expect good control on the last mile since you are paying almost only for the last mile here. Selling online depends majorly on reviews, ratings and customer experience of your customers. So, a good plan to ensure last mile delivery and subsequent customer experience is of utmost importance in this age when e-commerce majors are going all out in their short time delivery promise!